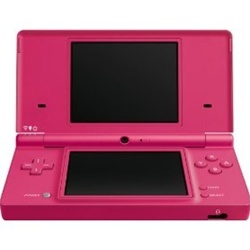 The Nintendo DSi is the third model of the Nintendo DS platform, following Nintendo DS and Nintendo DS Lite, and Nintendo has developed Nintendo DSi with the aim to further expand the Nintendo DS audience. Some typical functions include the ability to change the pitch and the speed separately by using the touch screen. The ability to freely manipulate the audio pitch and the speed can expand how the audio player can be used in more practical ways as well. You can fast-forward a podcast to economize the time. When you use the repeat-run function with the stylus, it becomes easier to copy the music, to play a musical instrument or to practice foreign languages. Also, since Nintendo DSi has a microphone, Nintendo is incorporating the DSi sound function to make use of it. Nintendo DSi has internal memory, just like Wii. After storing the data there, you can choose to activate this data from the menu screen.